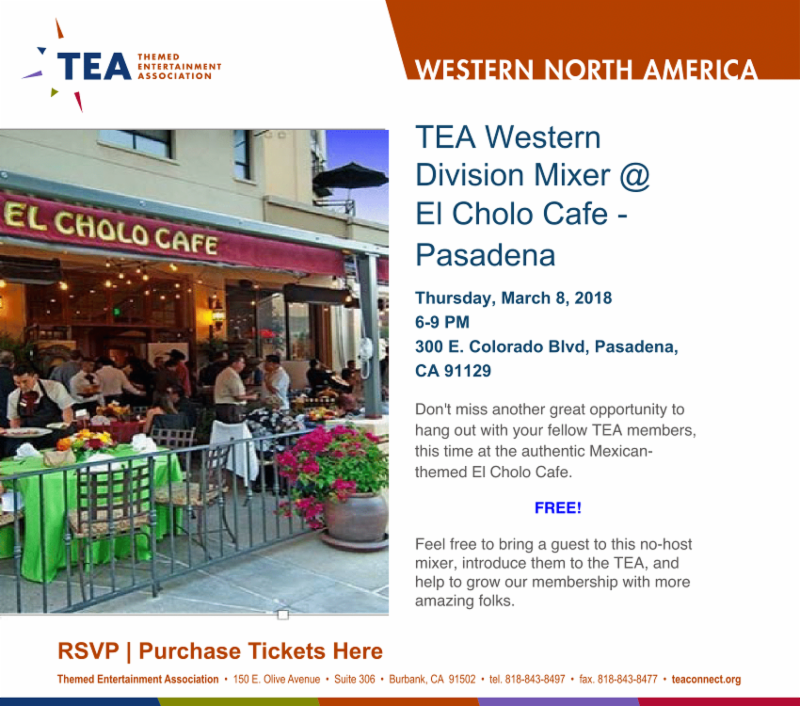 Don't miss another great opportunity to hang out with your fellow TEA members, this time at El Cholo Restaurant in Pasadena. Located in the Paseo Colorado Mall. Parking available in the Marengo Parking Structure, across the street. Enter Marengo Avenue from Green Street.